I know that this has been discussed earlier but I just realized you displayed Delphi 10 on your splash screen. 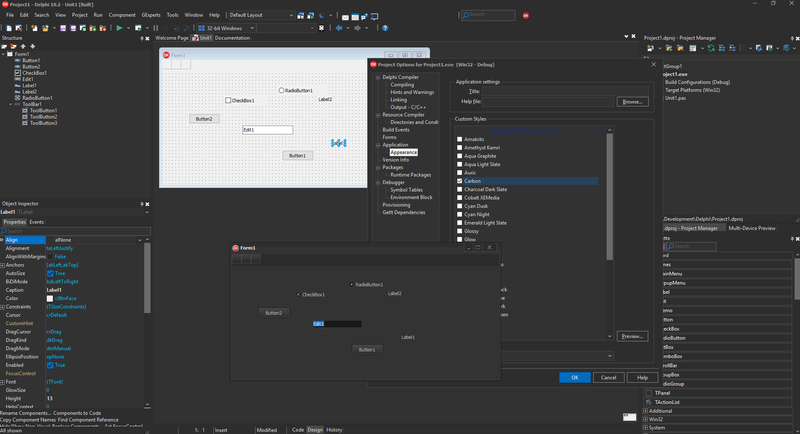 Would you be interested in trying out some custom styles in Delphi and, in that way, bring us a true dark interface? Thanks a lot in advance for your time and consideration. I made some preparation. There are still problems - when themes are applied, message handling is changed and it causes lot of problems - part of functionality based of messages stop working.